Sürdükten sonra toz far gibi oluyor bunlar belki dağılma yapmayabilir,ama dağıtma aşaması zorlu biraz. 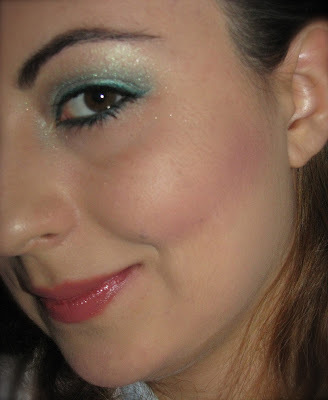 Hi doll, absolutely love the blue make up, its stunning on you! 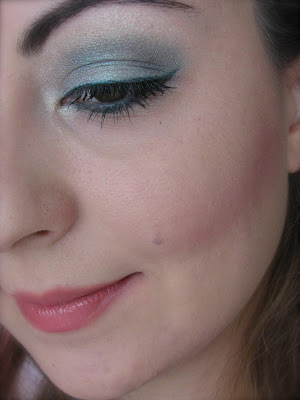 This look is so great, I love blue eye shadow on you! Beautiful blog I follow you too. thank you very much for your support!! I followed back !!! What an absolutely stunning look! LOVE the way you do your makeup! They have really great colours and I agree best applied with the finger tips! Love, love the eyes! 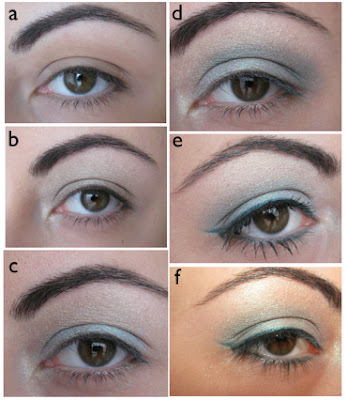 I;m interested to try cream eye shadows then hmmm hehhee. Lovely color and nice effect on your eyes my dear! wow..how many guys propose you for being so pretty? This is a really nice selection. Happy Holidays and a Perfect New Year! Thanks for following and I'm following you back now :) ! Oh my gosh, sooo beautiful! I was just looking to purchase Hypnose by Lancome - looks great. Following back! Beautiful makeup! I just love the smoky blue! Wish you an amazing year 2013! Wishing you a very Happy 2013! May it bring you everything you hope for...and more. Would you like to follow each other here and on facebook?